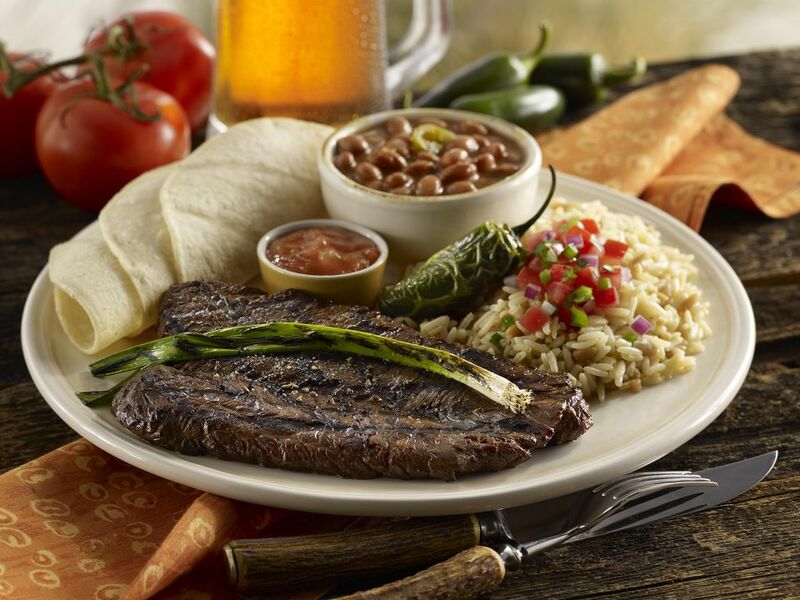 Carne Asada is a traditional Mexican dish that has some similarities to tacos and fajitas. Dish up the thinly sliced meat with your favorite toppings and a tortilla, and you'll have a delicious meal. Combine red wine vinegar, olive oil, garlic, sage, savory, salt, paprika, dry mustard and cumin in a small bowl to make marinade. Blend well. Place steak in a resealable plastic bag or shallow baking dish. Cover with marinade. Make sure that the meat is well coated. Let sit for at least 6 hours in the refrigerator. Preheat grill. Remove meat from marinade and pour marinade into a small bowl. Add steak sauce to marinade and mix well. Place steak on grill over medium heat. Watch carefully to avoid flare-ups. Grill steak until it reaches desired doneness. Brush with reserved marinade during the first half of grilling only. Heat tortillas by wrapping them in foil and placing on grill. Let warm for 5 to 10 minutes, turning once. When the steak is done, remove from grill, let rest for 5-6 minutes, and cut across the grain into thin strips. Serve with tortillas, onions, chilies, salsa and guacamole.